Electrotherapy is most commonly prescribed as a part of a physical rehabilitation regimen but is also an incredibly effective, non-invasive way to treat arthritis and other chronic pain. Electrotherapy (i.e. TENS – Transcutaneous Electrical Nerve Stimulation) reduces pain through the use of low-risk energy currents to aid in tissue repair, improve joint function, and assist with blood flow. TENS devices utilize small stick-on electrodes to deliver electric current to the body. Before adhering electrodes to your skin make sure that skin is free of sweat, lotions, or other oils in order to achieve a proper contact. This will ensure that electrodes do not detach when you move and can actually extend the usable life of the electrodes (which are typically operable for about 10-20 uses). When using an electrotherapy device it is important to get the electrodes in the right places to achieve maximum pain relief. Since it can be difficult to reach your own back, ask a family member or friend for help with placement of the electrodes and connection of the lead wires. Whether you are using two or four electrodes on your back make sure that they are at the same height and an even distance away from the spine to achieve the best results. Follow your doctor’s suggestions about where to place electrodes, making sure not to position them directly over top of the spine. Since electrodes are connected to the TENS device with lead wires, the length of lead wires determines how close the electrotherapy unit needs to be to the area being treated. Therefore, when placing the electrodes it is best to have all the lead wires going in the same direction, or in similar directions, to allow for maximum range of motion. Properly orienting lead wires ensures that there will be enough slack in the lead wires to clip the TENS device onto your belt area, or rest it comfortably beside you. Your doctor will prescribe a particular course of use for your electrotherapy device based on your muscle density. Be sure to only use the TENS device as prescribed- do not adjust the intensity level or duration of use without first consulting with a medical professional. If you experience worsening pain stop using the device immediately and notify your doctor. Nothing is worse than getting your electrodes placed and lead wires connected only to find out that the batteries are dead in your TENS electrotherapy device, so be sure to keep spares on hand. A TENS device is, after all, an electronic device- keep it away from sinks, tubs, pools, and other wet areas. If you have to wash your hands or be in contact with water for any reason, turn the electrotherapy device off and disconnect it first. 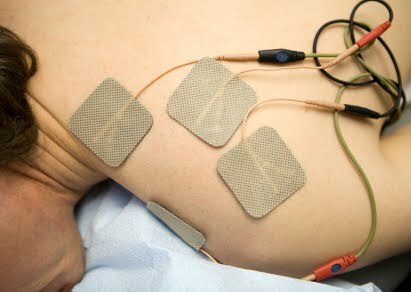 While electrotherapy is approved to treat back pain, joint pain, arthritis, post-operative pain, acute pain and chronic pain in most adults, electrotherapy should not be used if you are on a cardiac pacemaker. About MMAR Medical: MMAR Medical Group Inc. is a supplier of orthopedic medical products including a wide selection of orthopedic braces for the back, ankle, knee and upper body, cold therapy systems as well as elctrotherapy devices. From top quality post-operative back braces to a wide selection of arthritis knee braces, MMAR Medical has bracing and support solutions for everyone.